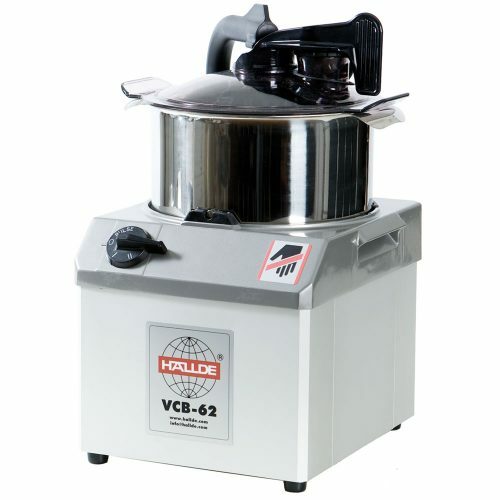 The VCM-61 & VCM-62-3PH are robust, reliable vertical cutters designed for quick preparation in professional kitchens. The machines chop, grind, mix, puree, blend and mince. Single phase machine with single speed with pulse function. Includes stainless steel bowl with gross volume 6 litres and net liquid volume of 4.3 litres. 3 phase machine with two speed and pulse function. Includes stainless steel bowl with gross volume 6 litres and net liquid volume 4.3 litres. Chops, grinds, blends and mixes, purees, blends and minces.. Restaurants, shop kitchens, diet kitchens, bakeries, retirement homes, schools, fast food outlets, catering, day care centres, salad bars, pizzerias, ships, central kitchens, institution kitchens, and more. The six litre bowl has a tightly sealing lid and an extra high centre tube. This increases the net volume for liquid ingredients to 4.3 litres. 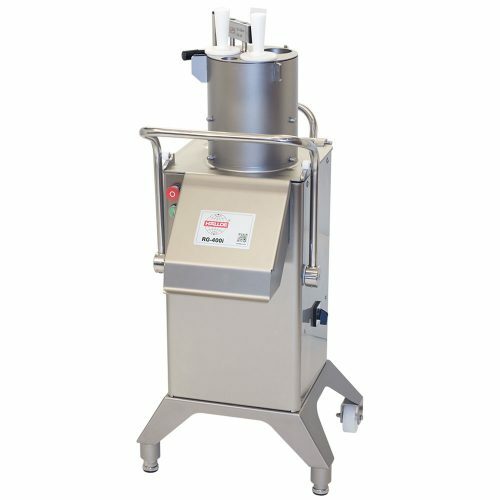 The lid also features a 5 cm wide feed tube for easy filling while the machine is running. The VCB-61 has one speed; 1.500 rpm. It also features a direct action pulse function. This pulse function provides direct access to 1.500 rpm without any irritating time delays. The machine base is manufactured of robust metal. 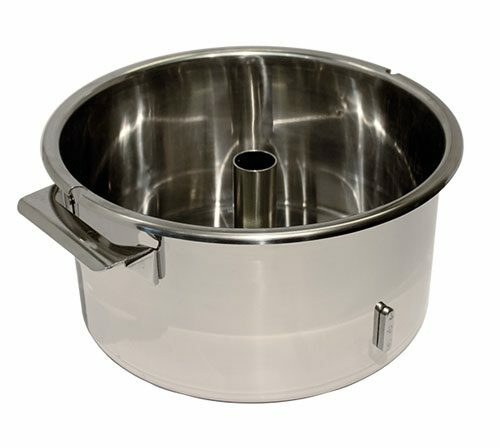 The bowl is manufactured in stainless steel, whilst the lid and scrapers are strong Xylex. The knife attachment is of high-quality aluminium and the knives are stainless steel. The VCB is manufactured solely from hygiene certified material. 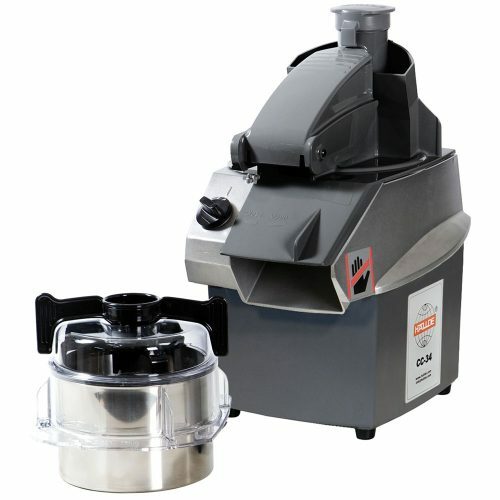 The machine has smooth surfaces, rounded edges and has no unnecessary recesses where food might penetrate and get stuck. 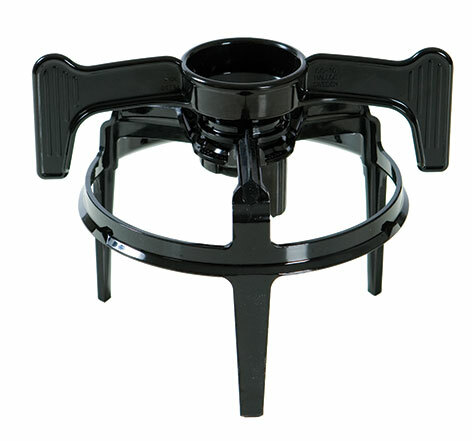 The machine base has a drainage hole to prevent water accumulating on the top. For rapid cleaning, all loose components are easy to remove making the machine easy to rinse. You can wash all removed components in the dishwasher. The VCB has three individual safety switches. 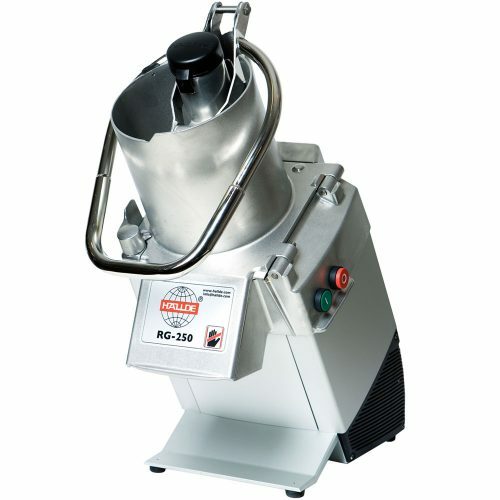 You can only start the machine if the bowl, lid and safety arm have been correctly fitted. The VCB has a mechanical motor brake, which means the knife stops rotating immediately when you switch off the machine. As the motor brake is mechanical, it also works in the event of electrical faults or power failures. 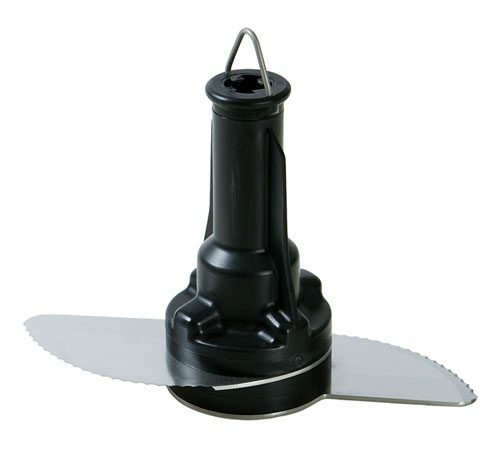 The VCB knife unit is totally unique and has a patented design. Instead of the customary two knives, this vertical cutter has four. The two large knives cut the ingredients while the two small turning knives push the ingredients down into the cutting knives and turn them. This cuts preparation time considerably and ensures more even results. The cutting knives are serrated in order to maintain their sharpness longer. When you prepare food in a vertical cutter these is risk of heat due to friction from the knives. The shape of the knife helps minimize this effect. 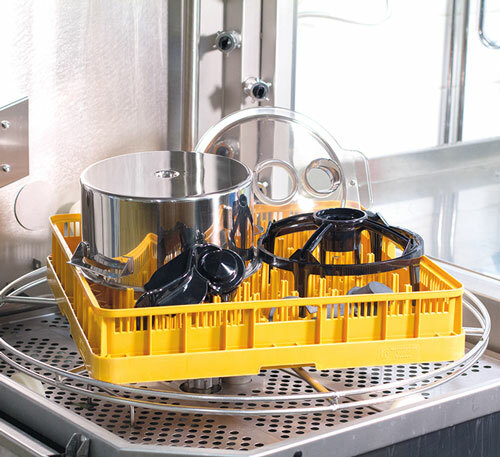 The VCB has a scraper system designed to prevent food getting stuck on the inside and the lid of the bowl, where the knives are unable to reach. The scraper arms keep teh lid and the inside of the bowl clean. As the same time they move the ingredients back towards the knives. VCB’s scraper system has 4 arms. It’s patented function means that the rotation of the ingredients in the bowl is effectively stopped and they are moved back towards the knives. 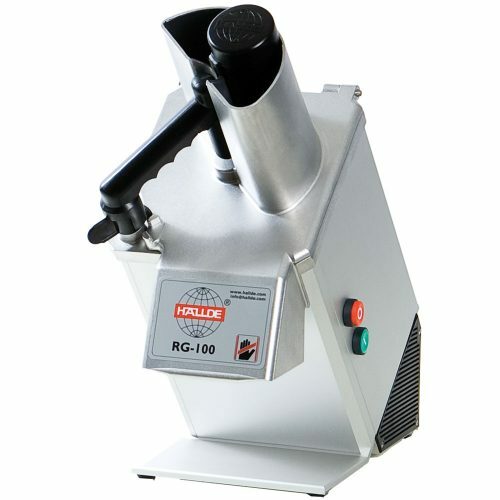 This accelerates the preparation time significantly and reduces heat release in the bowl. The VCB delivers the best results achievable from a vertical cutter. The reason for this is the way in which the bowl, scraper and knife unit work together. 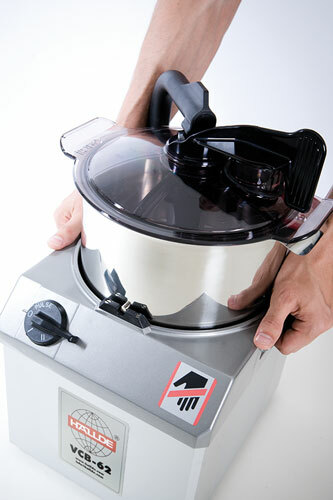 When the knife unit rotates, the large cutting knives cut up the ingredients while pressing them forwards and out towards the side of the bowl. When the ingredients reach the edge of the bowl, their rotation is stopped and the four scraper arms throw them back towards the knives. ingredients to bounce away from the middle. The smaller turning knives, which are unique to VCB, presses the ingredients down towards the cutting knives and turns them around ensuring the entire contents of the bowl are prepared equally and you get a more even result. These functions allow you to shorten preparation time significantly and thereby reduce the heat release that may arise in the bowl.